Thea Pharmaceuticals is an innovative company developing high-quality products that support ophthalmic care and eye health globally. We created an online CPD programme to help them build relationships with their key customers, namely pharmacies and eye specialists in the UK and Ireland. Thea Pharmaceuticals has a wide range of products that are stocked by pharmacies and prescribed or recommended by eye specialists. These professionals are often not brand loyal and may not always have a full understanding of product capabilities. Thea’s products are highly specialist, and we knew improving understanding among their customers would ultimately improve sales. 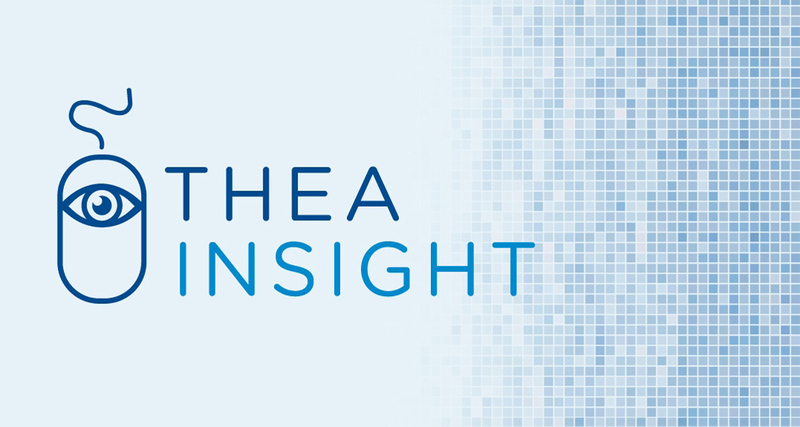 We saw an opportunity for Thea to use education to offer an added-value service. 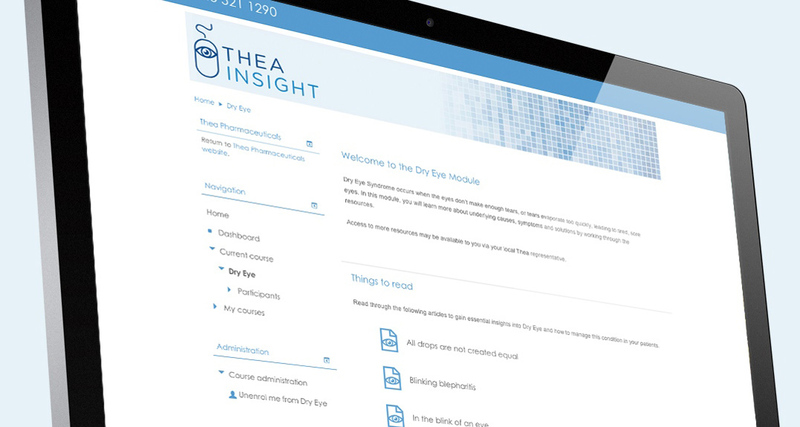 By offering free online CPD, we could not only improve knowledge for existing customers, but also engage graduates, and those training to be optometrists, to connect with the Thea brands early on in their careers. Every customer is required to register online. The resulting data capture can then also be used to carry on the conversation with eye health specialists and pharmacists in the long term. 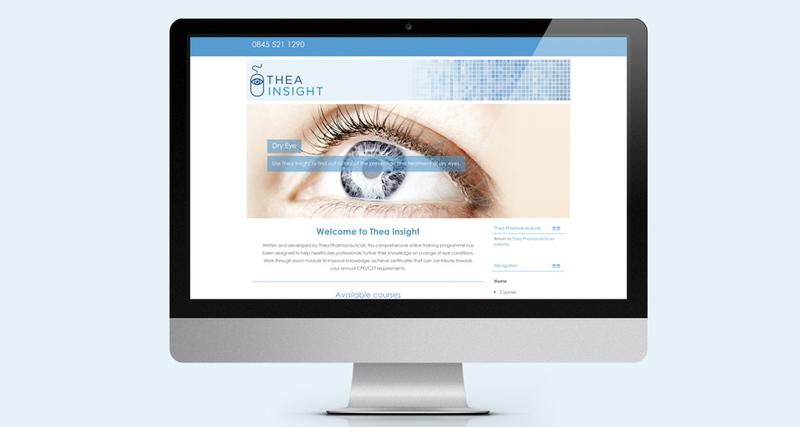 We developed Thea Insight, a comprehensive online training programme, designed to help healthcare professionals further their knowledge on a range of eye conditions. 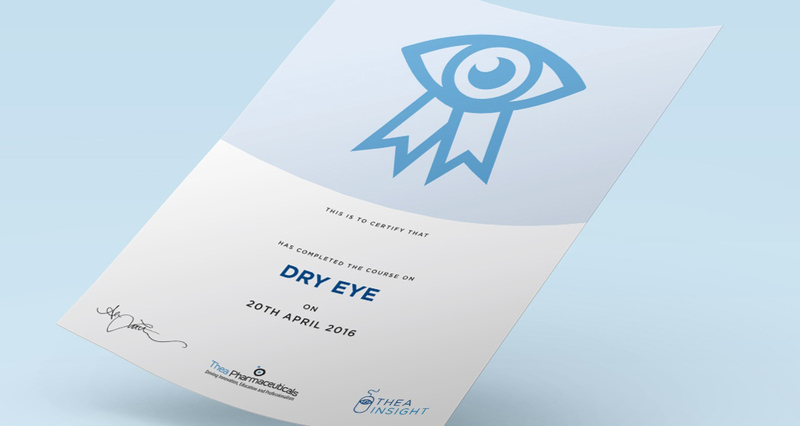 Accessed via the Thea Pharmaceuticals website, HCPs can work their way through each module, the first being Dry Eye, and achieve a certificate which contributes towards their annual CPD/CET requirements. The aim with the course is not just to close any gaps in knowledge, helping customers to communicate product benefits to their patients, but to also build genuine, rich relationships that will help the Thea Pharmaceuticals brand to grow in their market place.